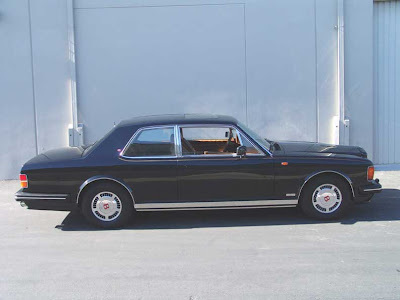 A couple of weeks ago there was possibly the Bentley Spotting ebay of the year. 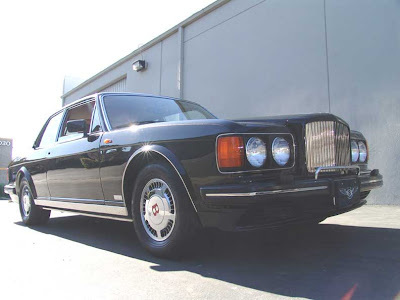 The ultra cool Bentley Hooper 2 Door Turbo R.
The model has featured on Bentley Spotting a number of times, and the sale of such a rare car did generate much activity on this site. Not many pictures are out there for this car. The previous article with many press pictures and two over previous advertiments are located here and here. The car was for sale by PI Motorsports of California and they still have the advertisement up on their site here. Here it is. 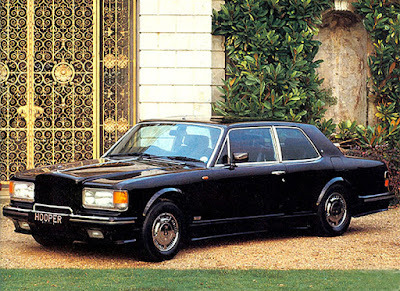 A 1989 Bentley Turbo R 2 Door by Hooper. 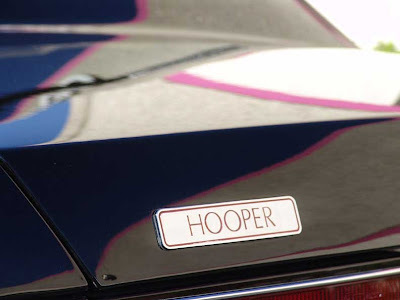 I did not know it actually has a Hooper badge! The advertisement claimed that it could have been owned by the Sultan of Brunei. 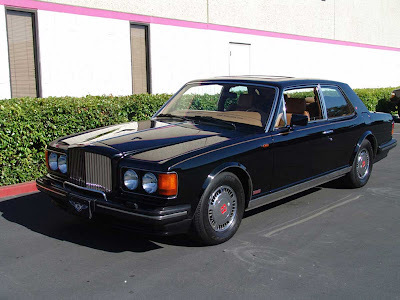 I very much doubt that, as the steering wheel is on the wrong side, and the chassis number does not match the cars built and delivered by Rolls Royce during this period for the Sultan. But it is such a good car! I am unsure of the exact build numbers, but I have heard that there were 6 made, just six. 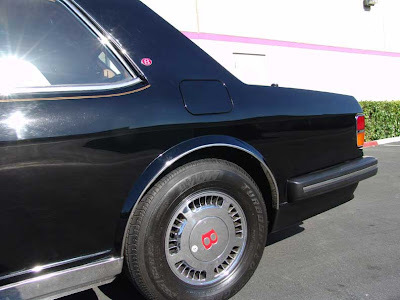 The recent car advertisment also states this as well. It sounds about right. Hooper were going through great hardship at this time. 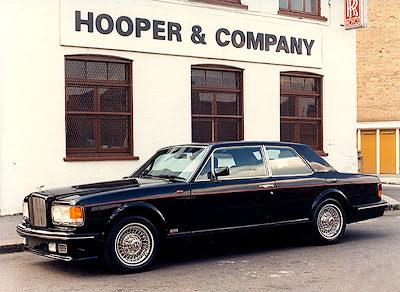 Lets count up my picture collection on the Bentley Hooper Turbo R.
This is different to the car above. Different grill surround, different wheels, different front fog lights. Different from above, different wheels, different fog lights, badge bar. The other photographs that I have are of the same cars when they were on sale. Is that not six out of six displayed? Well I think that probably more than six were made, as it could not be that easy to find every car made. 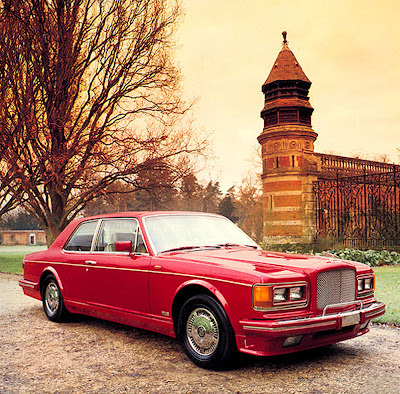 They did make Rolls Royce varieties as well. 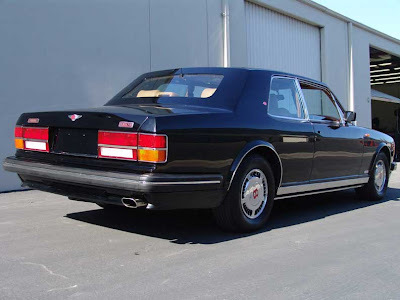 It's a maybe that every Bentley Hooper Turbo R made is in front of you now, but I doubt it. the blue car was bought for prince jefri by the sultan of brunie.